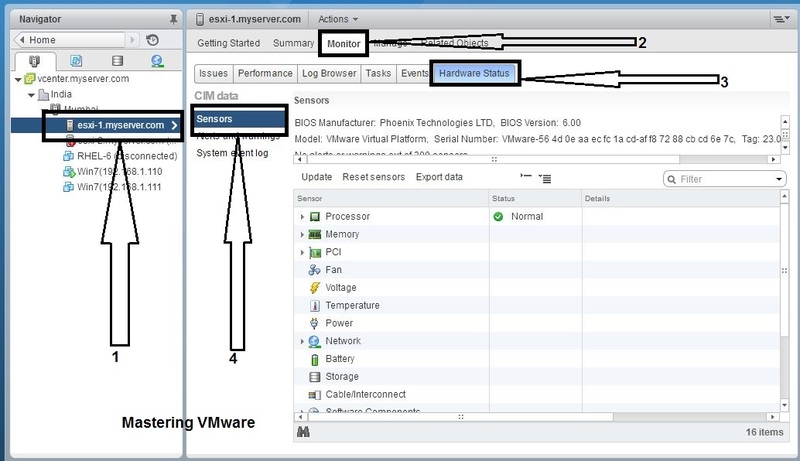 vCenter Server Appliance also referred as VCSA 6.5 comes with the integrated option of Backup & Restore. So you can easily backup your vCenter Server Appliance using the integrated option of Backup which will take the complete Backup of VCSA. 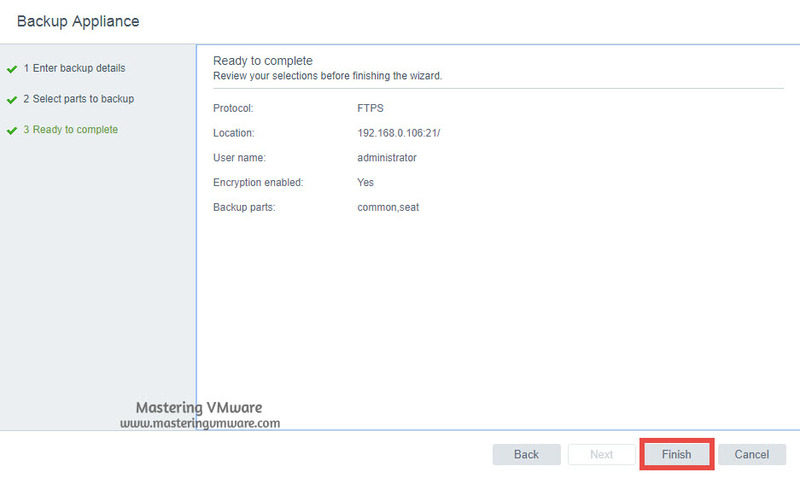 When you want to restore the backup you only have to start the VCSA installer there you will find option for restore. 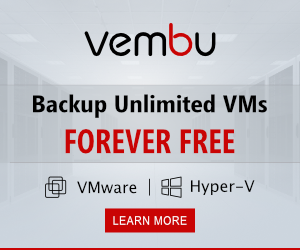 Now you don’t have to rely on any third party backup tools for VCSA Backup. 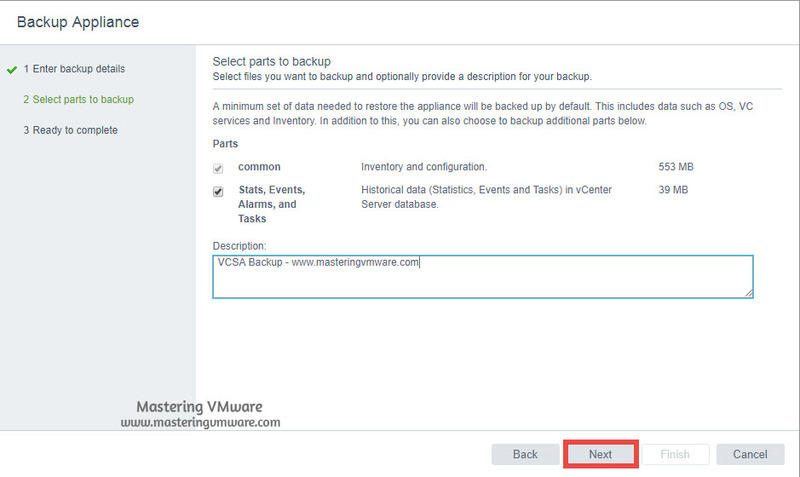 Backup & Restore option is only available in vCenter Server Appliance 6.5 onward. If you are using the vCenter Server for windows then you can not backup using the integrated functionality. 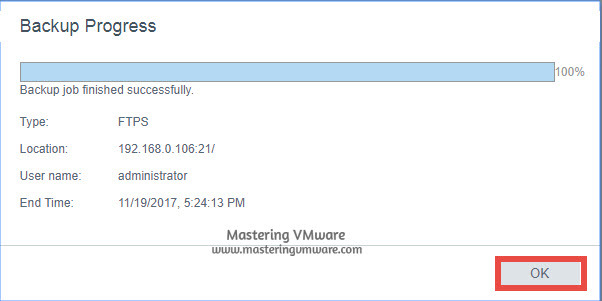 Taking backup of VCSA is really easy which we will be looking in this post using step by step. you can also encrypt the Backup data for securing the data. You can use any of the specified protocol for taking the backup of VCSA. 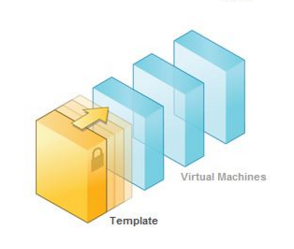 Backup is stored on the different location specified in the configuration. So you will be thinking which all data getting backup using this option. Backup functionality backups of common data such as Inventory & Configuration also you can take the backup of historical data such as statistics, events & tasks which are stored in the database. 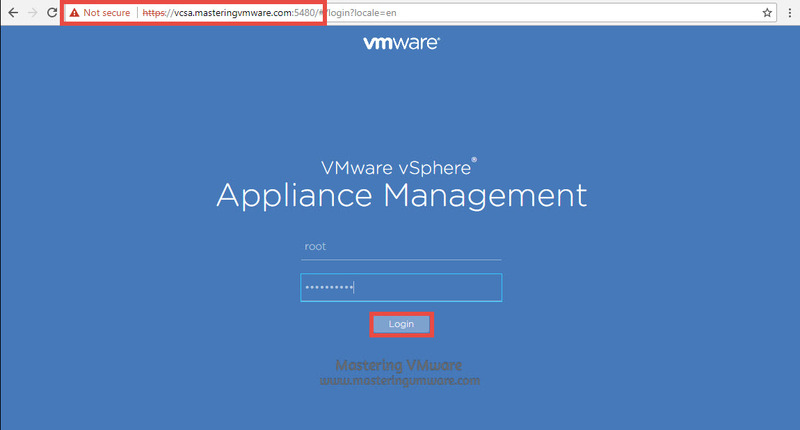 Login to vSphere VAMI (Appliance Management Interface)page. 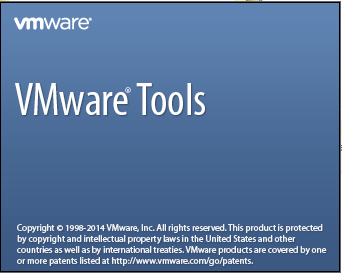 To access the VAMI Put your vCenter Server IP Address or Hostname with port 5480. Once you access to the VAMI. Provide the root user & password for login. Click the Backup button as shown. Specify the Protocol you want to use for backup. Provide the Location, Port No, Username & Password accordingly. You can also encrypt the Backup data by setting the password. 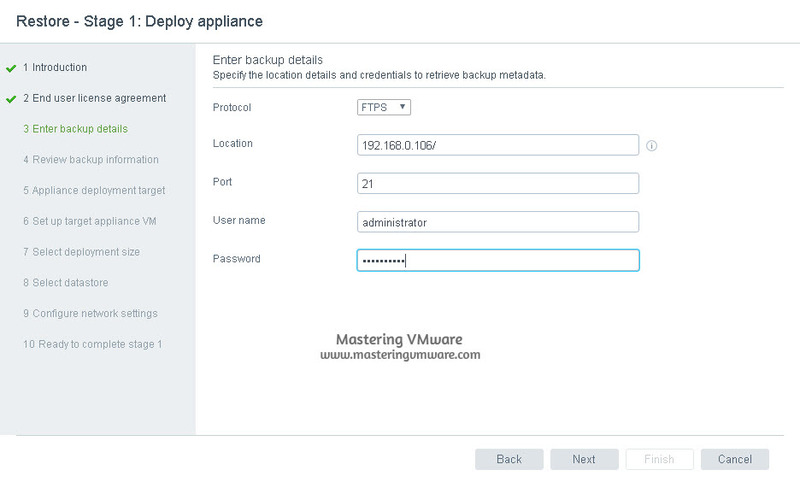 Select the data which you want to backup with vCenter Server Appliance. It will by default take the backup of common data such as Inventory & Configuration but you can also take backup of tasks & events. You will also see the size of the data here. Review the selection you have done. Click Finish to start the Backup. Once the backup starts you can see the status of the process. It will take time to complete the backup based on your data. Once the Backup is complete you can click OK to close the wizard. 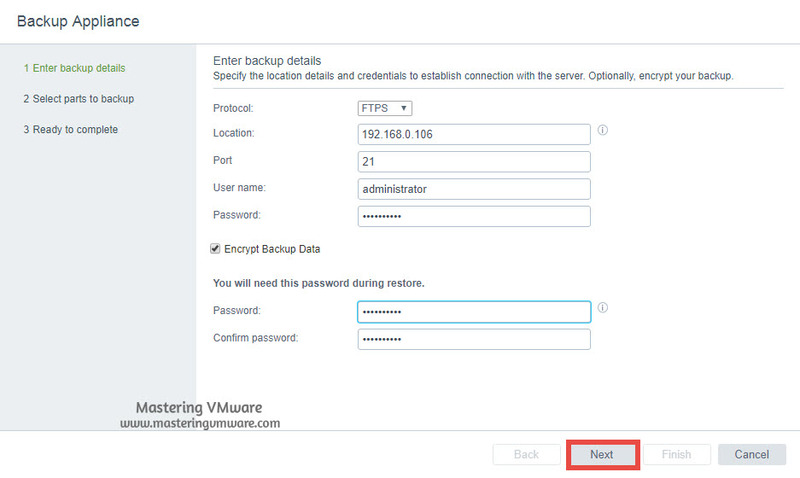 Using this way you can easily take backup of your vCenter Server Appliance. 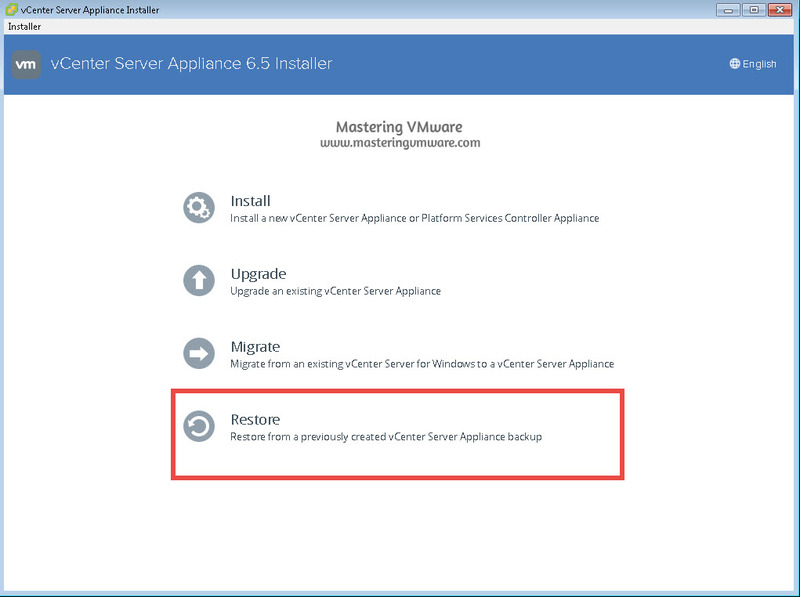 For restoring the Backup Start the vCenter Server Appliance Installer & Choose the Restore Option. That’s it. 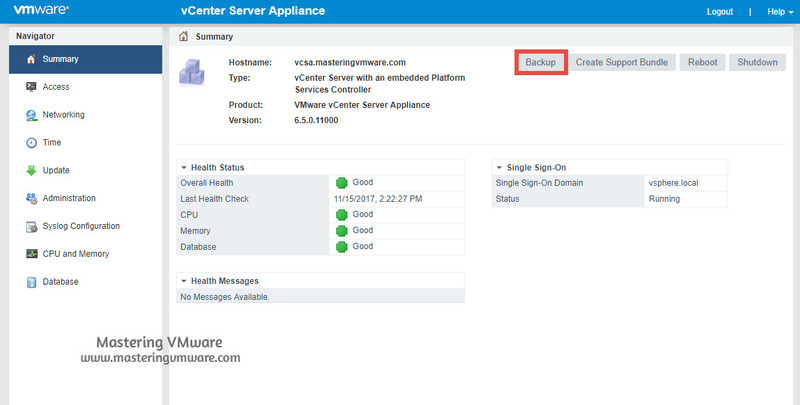 Now you can easily Backup & Restore the vCenter Server Appliance using the integrated backup feature. 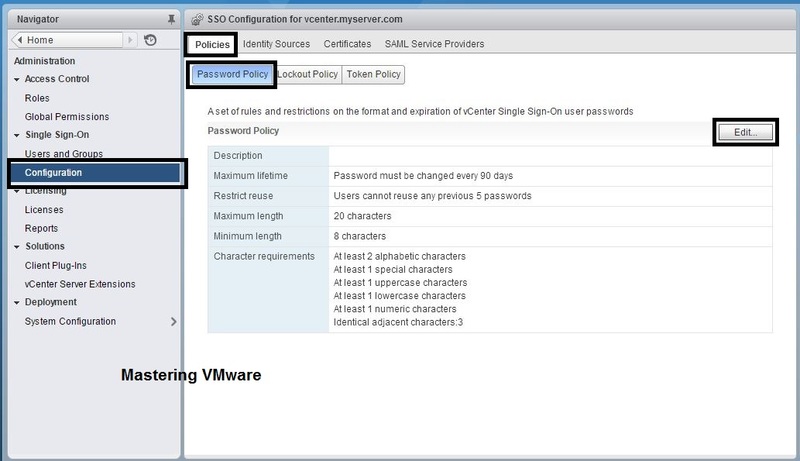 How to Configure Password & Lockout Policy for users in SSO ? 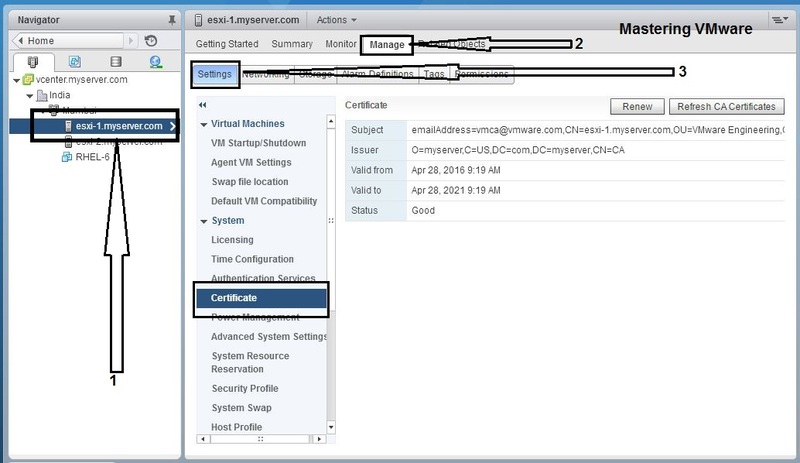 How to view ESXi Host certificate ? 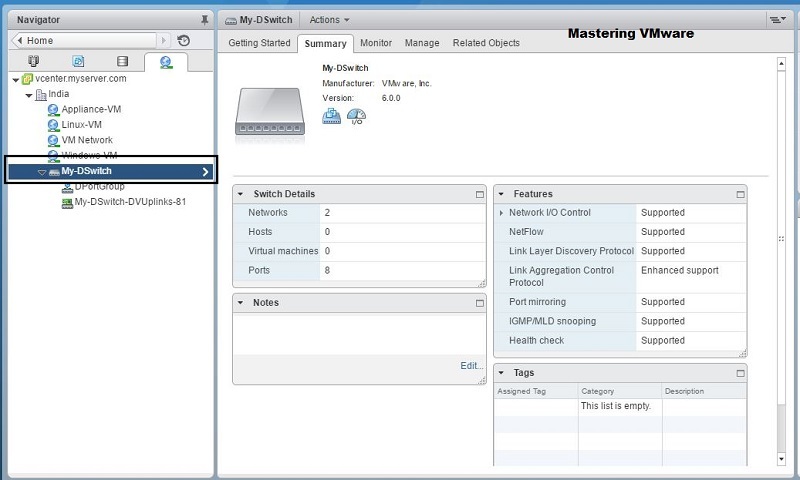 vDS-Part3 : How to create Distributed Switch ?